Almasdar Media Foundation condemned the kidnapping of the former journalist of Almasdaronline Yousuf Ajlan by the Houthi and Saleh militia. Yousuf Ajlan was kidnapped by the Houthi and Saleh militias on 15 of last October from his house in the capital Sana'a on the charges of working for Almasdaronline, although Ajlan has stopped working after the Houthis have stormed the office of Almasdaronline in March 2015. Despite the repetitive appeals of his relatives, who have been trying for the past period and are still trying to persuade the Houthi group's leaders to release him, all these appeals and endeavors were in vain in spite the passage of one month after on his kidnapping, and all they hear are only vague promises and he was not released. In a press release issued on 14 November 2016, the Almasdar Media Foundation calls on the coup authorities in Sana'a to immediately release Ajlan, and hold them fully responsible for his safety. "The Editing Board of Almasdar Corporation also renew our call for the release of our colleague Taoufik Al Mansouri, the journalist director at Almasdar Media Foundation, who is held by the Houthi group since about a year and a half ago," according to the press release. 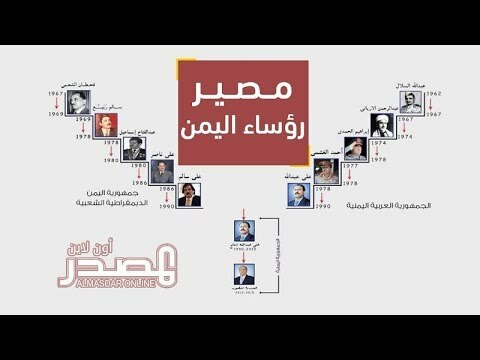 The Almasdar Media Foundation also calls on all the unions and organizations concerned with the freedom of the press and public freedoms to declare solidarity with Ajlan and all other journalists kidnapped and disappeared in the prisons of the coup in Sana'a, and to put pressure for their release. Almasdar Media Foundation has faced many violations practiced by the coup militias where its office was stormed, property confiscated, the daily Almasdar newspaper stopped, the website blocked, and also its editors and technicians were kidnapped. However and in spite of all that, it emphasizes to its audience that, through the "Almasdaronline" website and its own social networking platforms, it will continue to work according to its professional track followed since the beginning, whatever the obstacles might be. It is noteworthy that the Houthi militias and Saleh forces have been abducting about 15 journalists since a year and a half and expose them to brutal torture. "Press release on the abduction of colleague Yousuf Ajlan"
The Houthi militias kidnapped on 15 of last October our fellow journalist Yousuf Ajlan from outside his house in the capital Sana'a. Our colleague Yousuf Ajlan, the former editor at Almasdaronline website, has stopped working since after the Houthis have stormed the office of Almasdaronline website in March 2015, and has completely given up the journalism profession after he saw that the environment was no longer suitable to continue. However, this did not help him with the Houthi militias that have become wary of every Yemeni citizen living in the areas under their control and have no full loyalty to them. Despite the repetitive appeals of his relatives, who have been trying for the past period and are still trying to persuade the Houthi group's leaders to release him, all these appeals and endeavors were in vain even after passage of one month after his kidnapping, and all they hear are only vague promises and yet he was not released. The armed Houthi group, which controls the capital Sana'a and other parts of the country, deliberately hint at the terrorism charges against everyone they kidnap, so as to scare those who try to release them. The Editing Board of Almasdar Corporation has been informed that the colleague Yousuf Ajlan has been transferred from the Criminal Intelligence Department prison in capital Sana'a, in which he was detained after his kidnapping, to the prison of Althawra Police Station in Noqom area. The Editing Board of Almasdar Corporation calls on the coup authorities in Sana'a to immediately release our colleague Ajlan, and we hold them fully responsible for his safety. We also renew our call for the release of our other colleague Tawfik Al Mansouri, the journalist director at Almasdar Media Foundation, who has been held by the Houthi group since about a year and a half ago. We also call on all the unions and organizations concerned with the freedom of the press and public freedoms to declare solidarity with our colleague Ajlan and all other journalists kidnapped and disappeared in the prisons of the coup in Sana'a, and to put pressure for their release. We are confident that if the international organizations and bodies, particularly the United Nations, exert sincere efforts they will succeed in the release of the journalists, the same way the international pressures have succeeded in the release of a number of US citizens who had been held by Houthi group in Sana'a. Almasdar Media Foundation has faced many violations practiced by the coup militias where its offices were stormed, property confiscated, the daily Almasdar newspaper stopped, the website blocked, and also its editors and technicians were kidnapped. However and in spite of all that, Almasdar Media Foundation emphasizes to its audience that, through the "Almasdaronline" website and its own social networking platforms, it will continue to work according to its professional track followed since the beginning, whatever the obstacles might be.